This is a stack of goldbeaters foil. Very small samples of pure metallic gold is beaten between wax papers to create a thin sheet of gold only several dozen atoms thick. Using this technique very large surface sheets of gold can be created from a small quantity f the precious metal. 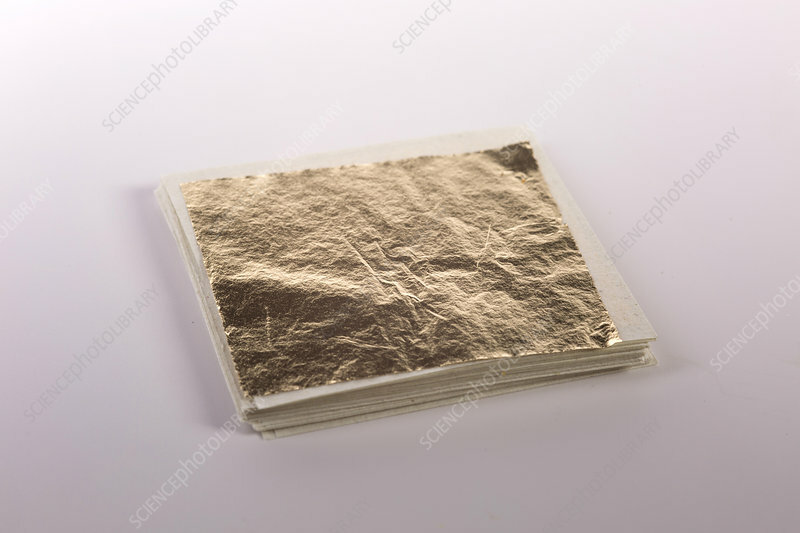 Goldbeaters foil was used in the famous gold foil experiment by Rutherford to show the mass of the atomic nucleus. In modern times this foil is often used to cover wooden frames for expensive artwork.